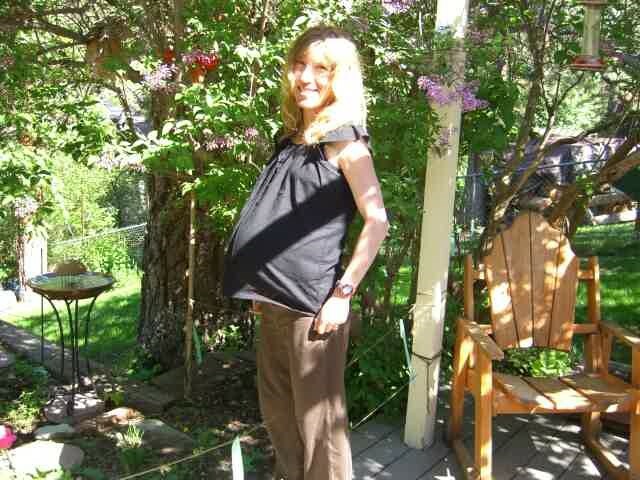 Nicole Hunt running Wulfman's CDT 14K four months pregnant--with twins! Nighttime and early morning wake ups, playdates, consoling big emotions, virus swapping, meals to make, lunches to pack, diapers, driving young people hither and yon, homework to help with, piles of laundry, teeth to brush, and late nights prepping so the next day doesn’t eat your lunch before it even starts. This is just a small list of the responsibilities parents are subject to on a daily basis. It’s enough to derail the training and racing aspirations of even the most disciplined human. Dear parents, take heart. 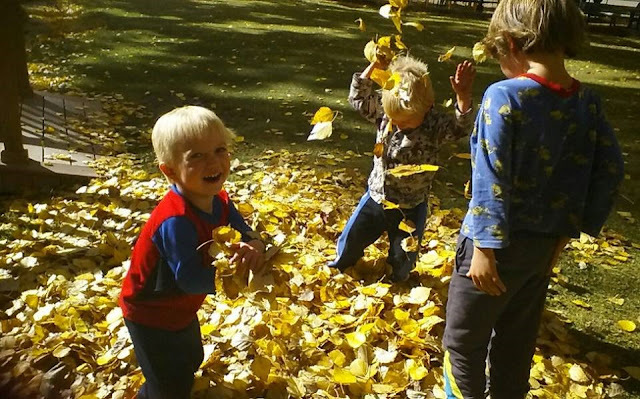 Nicole Hunt, mother and homeschooler to 3 boys (6 yr old Eon and 3 yr old twins, Roam and Ember) answers a few questions about training, racing, coaching, and living the life you want as a parent and competitor. Nicole is a wealth of information on and off the trails. 1. What was your training and racing before children. 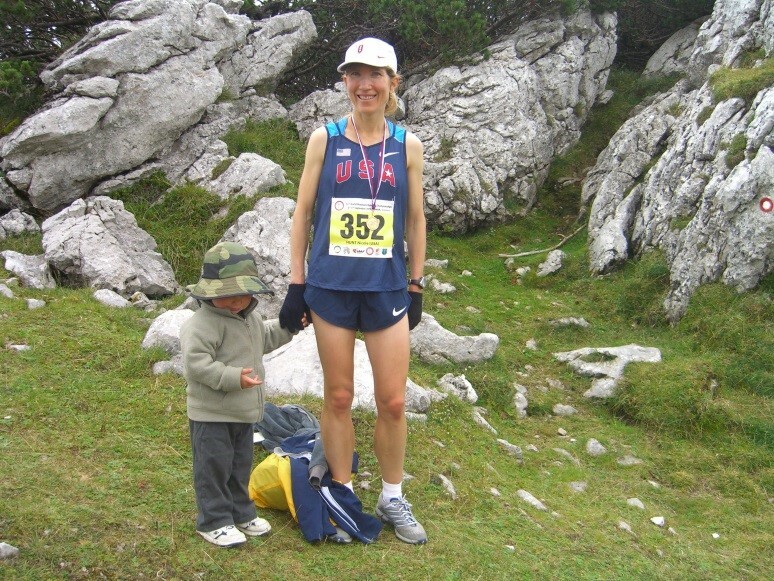 Before children, my goal was to try to qualify for another mountain running team. I trained about 60 to 70 mpw with 3 hard workouts per week. I did drills, circuit training, mountain biking up hills hard, xc skiing for the sole purpose of becoming a faster runner. I trained outside nearly every workout and I ran in the mountains just about every weekend when weather permitted. I traveled and competed all over world including Russia, Siberia, Nigeria, Turkey, Slovenia, China and South Korea. I felt I was in the best shape of my life at age 36 and even set a few road PR’s at that age, 1 year before becoming pregnant. "Just minutes after finishing the World Mountain Running Championships, my son finds me to hold my hand." 2. How has having children changed your training and racing? Having my first child was at first mentally and physically challenging. I anticipated, and was prepared for, the loss of spontaneity and freedom involved with raising a child, but what I was not quite prepared for was the extreme loss of sleep and pure exhaustion I felt. The first year of being a running mama was very challenging for me. I could no longer just skip out the door. Instead, I either had to be back home in 2 hours or less to nurse my child, or I had to run pushing our running stroller, which I can only do at a slow pace. Racing was challenging also, dealing with nursing before and after races and with changing diapers all day long including some right before the race started. After my son’s second year, my life definitely got easier but then I got pregnant again with identical twin boys. The pregnancy was horrid. At 5 months pregnant, I went from running 50 miles moderate/week pregnant to bedrest overnight due to them having a rare disorder called Twin to Twin Transfusion Syndrome which was not caused by my running. I had to travel to Missoula 3 x week for monitoring and was only allowed to walk around the house. I became depressed and so uncomfortable that I only slept a few hours every night. After the birth of my twins, I developed the auto-immune condition known as Hashimotos Thyroiditis, which was likely due to my pure exhaustion from them waking every hour of every night during the first year of life. I was so exhausted that in a few mountain running workouts I had to walk, and my weight kept hovering 13 lbs over my normal training weight. What scared me the most was that my brain was not working correctly. I was so fatigued from loss of sleep that I had a hard time remembering names and words. I was running races but much slower than ever before. I was so frustrated and motivated to find out what was wrong with me. After much research, I diagnosed myself with Hashimotos and adrenal fatigue. I bounced from doctor to doctor until I found someone who could help me. In 2013, I took 6 months off from racing and training to allow myself to heal. I changed my diet to help heal my gut and manage the Hashimotos. I started to feel like I was a runner again early winter 2013. My first race back was the 2014 Treadmill Challenge which I surprisingly won. I felt so happy and blessed to be able to run competitively again. I no longer take my health for-granted. I cherish every run, every workout and every race. I feel so lucky to be healthy and burst with joy with every mountain trail run and race that I can do. The experience has changed me for the better, and I feel I am a stronger person and runner because of it. 35 Weeks. "I gained 18 lbs with my first and ~26 lbs with twins." 3. What was your attitude towards training and racing during pregnancy? With my first child, I had trouble breathing and was only able to run about a 9 to 11 min per mile for the majority of my pregnancy. I still was able to run about 50 to 65 mpw mostly on dirt roads and trails. I entered races under the pseudonyms “Carrie Babes” and “Braxton Hicks” where I ran at my moderate effort. I felt good for most of that pregnancy and ran 7 miles the day my water broke. During the first 4 months of the twin pregnancy, I actually felt better compared to the first pregnancy. I ran 40 to 50 mpw and was able to run 6:45 to 7 min pace during some races comfortably. As described above though, this all changed about the 5 month mark of pregnancy when my doctor confined me to house arrest with lots of bedrest. I tried to keep a positive attitude, but the trails were calling me, and all I could do was look out the window at the trees and then I would cry. I was determined to get out of that funk. I laid outside on a blanket and watched the clouds, knowing that someday my time of suffering would pass. My last month of pregnancy improved a little when my doctor gave me his blessing to hike all I wanted, as long as I stayed in the vicinity of his office. I stayed with my parents in Missoula, where I hiked for 7+ miles a day mostly on trails in Woods Gulch and Mount Jumbo. I was so happy to be outside again. Nine months pregnant. Hiking around Mount Jumbo. 4. Can you describe your current training? I currently run about 50 to 60 mpw. I run 2 or 3 hard workouts a week and 1 long run. My easy days I run 4 miles on the treadmill while my children play. On my hard workout days I run 8 to 18 miles on the mountain trails while my husband watches the children. I feel fortunate to have such a supportive husband. 5. What's on the athletic horizon for you? Since my little boys turned 3 (Nov 2014), my life as a running mama became so much easier. They are now sleeping most nights through, and I no longer spend hours changing diapers each day. Given this relief, my mental clarity has recovered, and I have felt so much better in training and racing. I could feel my speed return month after month, year by year, and this year I feel like I am back to the running ability that I would be before twins. I have high goals for myself which includes competing in Bend, OR to qualify for the USA Mountain Running Team. 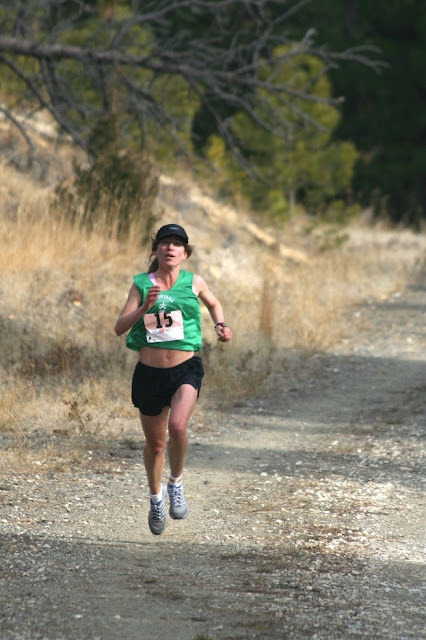 I want to run competitively at the Rut 25k, and place well at the Montana Cup. 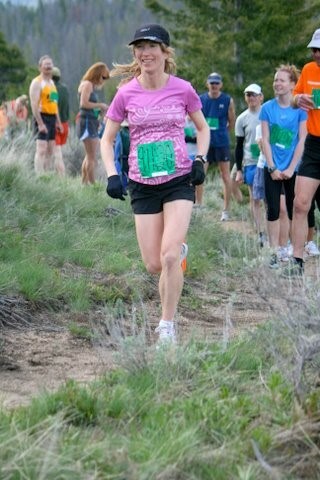 I also hope to try to regain the course record at Mt Sentinel Hill Climb. 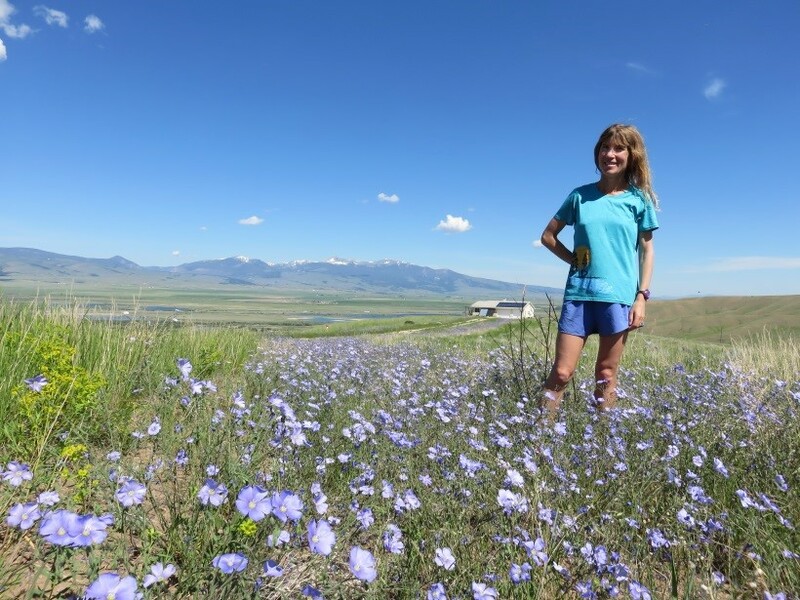 That climb is a cherished race for me since I have so many memories of running up it during training, and of running down the mountain during the summer months with Missoula’s ambient light and stars creating a brilliant twilight. "2nd Place MT Cup four months after the birth of my first child. It took me two years to feel fast again after twins and now, three years later (2015), I'm running my fastest yet post-twins." 6. Any advice you could offer to other mothers or perspective ones about how to find "balance" or at least juggle it all? My children are a blessing and they give me so much love. I get likely 100 kisses and 10 hugs every day. I adore my children for so many reasons and they have taught me so much about myself and life itself. They keep me young and sense when I am sad and offer kindness or rejoice with me when I am happy. My advice for running mamas is to allow your body to heal the first year of your child’s life. Do not put pressure on yourself to train or race. If possible, buy a treadmill so you can run while your child plays around the treadmill. Set up childcare at least 1 x week for 2 to 3 hours so you can run during the week. And work it out with your significant other so each of you can run with your running friends or by yourself every Saturday and Sunday. If after a year, you are not seeing improvements in your personal health, seek medical attention. I recommend a knowledgeable naturopath. As far as pregnancy goes, realize that every pregnancy is different. You might be able to run 20 mile training runs with one and the next could be confined to bedrest. Find a doctor who understands running mamas, and do not conform to society’s expectations of what a running mama should be. Listen to your body and it will tell you what you can do. And most importantly, keep believing in your dreams, and set goals for yourself with the understanding that you will continue to get faster every year. In a few years you will be a stronger person and runner, and you will have beautiful children who love you and who you can celebrate life with. At home on Raven Hill: "Our house is solar powered on 55 acres with a 1km 15% grade driveway. I try to beat my FKT on it monthly. The little boys have races down the driveway to get the mail." - MTC Contributor Jessie Thomas is a mother of 2, runner, skier, and seriously tired - .